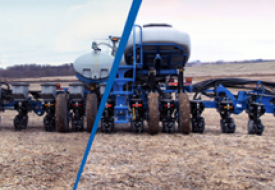 The Blue Vantage™ planter display and the Blue Drive™ electric drive are the first two products introduced by Kinze Electronics, and will be available for the 2019 planting season on the Kinze 3660 and 4900 planters." To create the most user-friendly display on the market, we collaborated with many farmers throughout the development and testing of the Blue Vantage™. We know that when it’s time to plant, you want to start quickly. 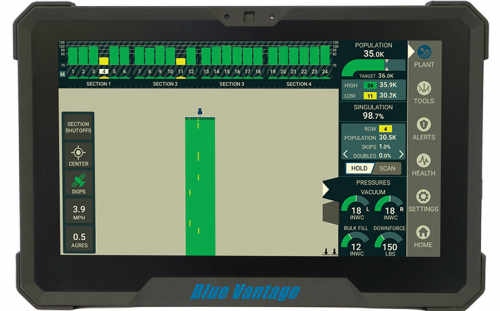 The new Blue Vantage™ display communicates with the planter to know how it is configured making it easy to simply confirm the settings on three screens and you are ready to plant. Intuitive and Easy to Use – Display can be powered up and ready to use in three taps. Comprehensive Diagnostic Screen – The most comprehensive on the market, providing detailed information on all system components when you need it. Optimized Plant Screen Layout – A single screen provides all critical planting parameters and controls. 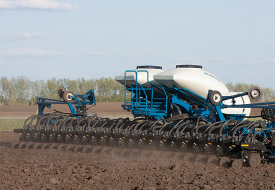 High-Speed Ethernet Communication – Provides fast, reliable communication with the planter. Rugged 12" Touchscreen Display has a durable, high definition direct view anti-glare screen – Easy to read high definition screen is controlled with touch, pinch and zoom screen actions. Quick Disconnect Tablet Dock & USB Ports – Easy removal and data transfer. Row-by-Row Mapping – Observe planting performance in real-time. 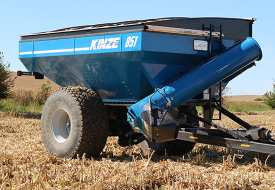 Designed by Kinze for Kinze – One manufacturer for all components from the display in the cab, to the high-speed Ethernet communications on the planter. "Hitch-Pin" Solution – Ready to use straight out of the box. Yield and profitability are directly related to how well the seed gets into the ground. 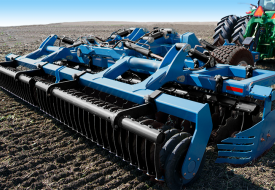 The new Blue Drive™ electric drive system is designed to seamlessly integrate with the new Blue Vantage™ display to analyze critical planting data and deliver seed exactly where it needs to be. 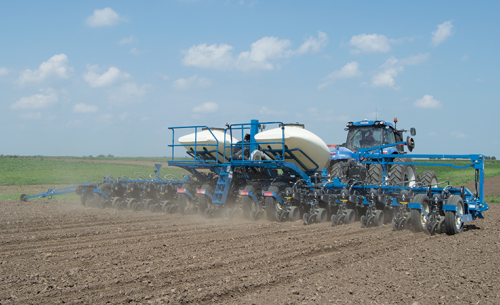 Designed by Kinze for Kinze – One manufacturer for all modules and controls on the planter. Dedicated Display – Seamlessly integrates with the new Blue Vantage™ display. System Architecture – Optimized communication architecture provides detailed information on all system components when you need it. Focused Monitoring and Control – Each row unit is individually monitored and controlled for optimum seed placement. High-Speed Ethernet Communication – Industry-leading Ethernet provides fast, reliable communication throughout the planter. Curve Compensation – Corrects population row-by-row and provides consistent seed spacing. Few Moving Parts – No chains, drive shafts, clutches or gearboxes. Weather and Water Resistant – Withstands the elements.